Well-known and respected KZN drummer Wake Mahlobo died last week. “I’m deeply saddened to learn of the passing of one of KZN's most gifted musician's Wake Mahlobo. 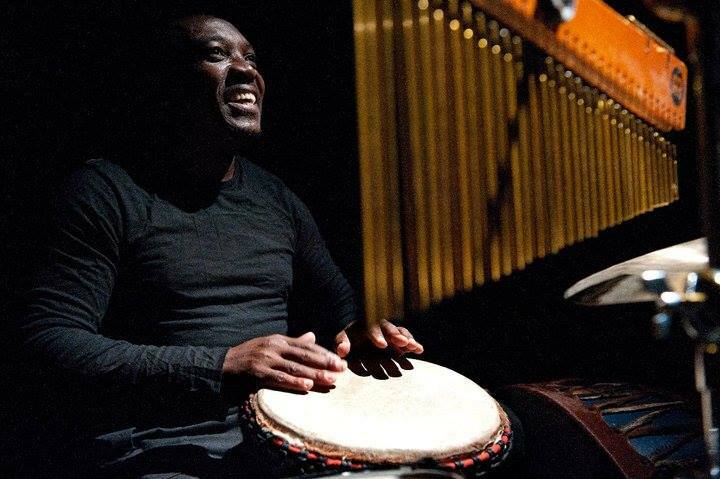 Anyone who saw Tin Bucket Drum, will remember Wake in the percussion corner, accompanying Ntando Cele or Mpume Mthombeni on the stage with a range of percussive surfaces and instruments that included jembes, snare-drums, tea-pots, bottle-lids, dustbin lids, tin buckets and the like. Wake arrived late into our rehearsal process, in fact a week before the play’s 2003 premiere at the Grahamstown fringe. Via a SOS recommendation from Themi Venturas, I had called him at the final hour and explained the project and the importance of percussion to the story-telling. The following day, Wake arrived at rehearsals with an arsenal of percussive instruments and a willing and generous collaborative spirit. At the time, I was not aware that the man in the room with us was one of South Africa's foremost percussive legends! Wake leapt straight into the process and created evocative soundscapes alongside Ntando Cele and Karen Melissa Logan. The script would call for a rainstorm, a revolution, a variety of furious heart-beats and in rehearsals Wake would tinker like a mad-musical-scientist in the corner until he had found the most suitable and potent percussive suggestion. His offerings were always spot on. His commitment, passion, invention and kindness knew no bounds and he remained with the production for over a decade of touring, never once missing a show (or beat) and ensuring the Little Drummer Girl’s story and irrepressible rhythm was heard as far afield as New York City. Towards the end of the play there is a scene where Nomvula is struck by the Silent-Sir's bullet. During this moment, Wake would gently bow his head in reverence, a serene sadness overcoming him. Moments later, he would pick up the Jembe and sound her triumphant spirit’s rise to the realm of the ancestors. For this send off, Wake was able to make two drumming hands appear to sound like hundreds. Anyone who sat in that theatre and experienced the roof-raising resurrection will attest to his magic. I’m imagining a similar send off for this rhythmic revolutionary. A loud, thunderous and triumphant drumming as he transcends from this plane to the next. Thank you, Wake, for your music, for ensuring the little Drummer Girl's heart was never silenced, that it drummed loud and proud into the night without fear or hesitation. Finally, I'm made to think of a scene in the play, where Umkhulu on his death bed, hands over his pair of drum sticks to the little girl. "The future" he cautions the child, "does not lie in these drumsticks but in what you chose to do with them. Use them carefully. You will know when the time is right."